1. Each fingertip contains an LED light with 6 modes and 3 colors (RGB). 2. Perfect for any child or adult that's looking for something bright and fun. 3. Lights are powered by 2pcs CR2016 batteries which lasts for hours and hours. 4. 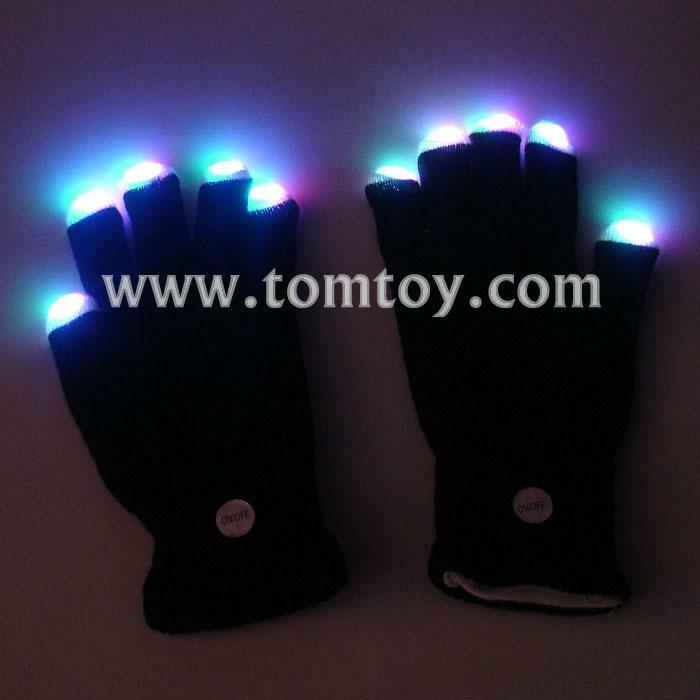 Gloves are perfect for birthdays, raves, concerts, dance, disco, and many more!